KHALIFA HAFTAR: Tripoli, I address you and all brave fighters. The time to launch the assault has arrived. Go forward, as you always do, and with the grace of God. See you in Tripoli in peace, and all those who desire it. And that was Libyan general Khalifa Haftar commanding the Libyan National Army based in eastern Libya to march on Tripoli. As far as we know, the leader of the UN-backed government of national accord, Fayez Al-Sarraj, is still in control of Tripoli thus far, and he met with the UN secretary general this week, as did General Haftar, who was in discussion about coming up with a peaceful resolution, but that seemed to have not happened. If you can listen to the comments by the UN Secretary General Guterres on his departure. ANTONIO GUTERRES: With a deep concern and a heavy heart. I still hope it will be possible to avoid a bloody confrontation in and around Tripoli. And the United Nations remain available to facilitate any political solution able to unify the Libyan institutions. And whatever happens, the UN will remain committed, and I will remain committed, to support the Libyan people. 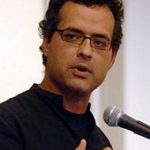 SHARMINI PERIES: On to talk about all of this with me is Vijay Prashad. Vijay is the author of Arab Spring, Libyan Winter, and the executive director of the TriContinental Institute for Social Research. He’s also the editor-in-chief of LeftWord Books. Vijay, good to have you with us. 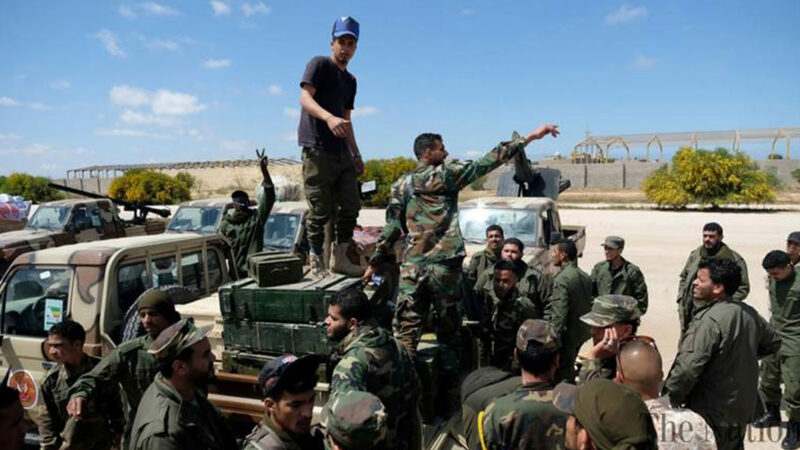 All right, Vijay, General Haftar of the Libyan National Army, based in the east, and he has ordered his forces actually not to open fire on civilians, saying that whoever raises the white banner is safe. Now, his forces have taken over Guyan, which is a city very close to Tripoli. And yet they have, as far as we know, have not taken Tripoli at this point. So what is the situation that is unfolding in Libya? Who is this general, and what is he trying to pursue? VIJAY PRASHAD: Well, it’s a very troubling moment for Libya. Libya has been in a very difficult situation since the war conducted by NATO in 2011 which essentially sent that country into great disrepair. It hasn’t really recovered from that war. Politically there’s been great fracturing. One of the architects of the fracturing is General Khalifa Haftar, who, you know, was a senior general in the army of Moamar Gaddafi, defected from Libya in 1987, came to the United States, as it turned out, from 1987 to 2011. General Khalifa Haftar lived about 10 minutes from the CIA headquarters, which is in Langley, Virginia. In 2011, just before NATO began its bombing of Libya, Khalifa Haftar arrived in Benghazi where he claimed to be the internationally-backed military person to go and fight against Gaddafi’s government. Of course, other people had other ideas. And since 2011, Mr. Haftar has had a base in Benghazi which is to the East of the country and has played quite a disruptive force in the attempt to create a government of national unity, which was set up by the United Nations in 2015 when various other political actors created the government of national accord. It’s very hard to explain the kind of fracturing of Libyan politics since 2011. But suffice it to say Mr. Haftar built up his military power. He was backed by the Egyptians, by the United Arab Emirates, soon by the French government. He had backing Israel, from the Russians, from Saudi Arabia. From a series of important international and regional partners. He received air support from Egypt and the United Arab Emirates. And began to consolidate his position in the East of the country around the major city of Benghazi, but also around the oil terminals which are on the Mediterranean coastline. Recently there’s been a push to come again towards some sort of natural unity. The government of Mr. Al-Sarraj, who represents the government of national accord. I mean, they were trying to negotiate with Khalifa Hafter. The UN Secretary General was in Libya. There was a great amount of hope when Mr. Guterres from the UN arrived in Libya. But Guterres left feeling that there was really no hope, because Khalifa Hafter was determined to have a military solution, to march on Tripoli, to take out the government uprising of Fayez al-Sarraj, and to basically take Mr. Sarraj’s government out of the equation and have both military and political power. That’s what he’s essentially tried. It has been a very swift military move. His troops are moving along the Mediterranean coastline of Libya. But they also swung south and came up–this is Battalion 166–came up towards Tripoli. And they’ve taken Tripoli International Airport. In Tripoli, which is Libya’s capital, there are two airports. There’s the Mitiga Airport, which is inside the town, which is the one used by the people. It’s not the–you know, it’s not Tripoli International Airport, which has long been a place of great militia battles, terrible fights in Tripoli International Airport. Mr. Khalifa Hafter has taken Tripoli International Airport. He’s moving northward through the city of Tripoli. His troops tried to make a rush towards the Tunisian border to close the border road. But they were not successful. And where we are now on Friday afternoon, Sharmini, is that we are at a situation where it’s nightfall in Libya, and there is going to be great bloodshed tomorrow. 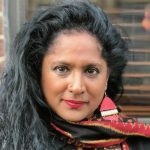 SHARMINI PERIES: I’ve been speaking with Vijay Prashad, and we are going to continue this conversation in segment two, which will roll right after this.